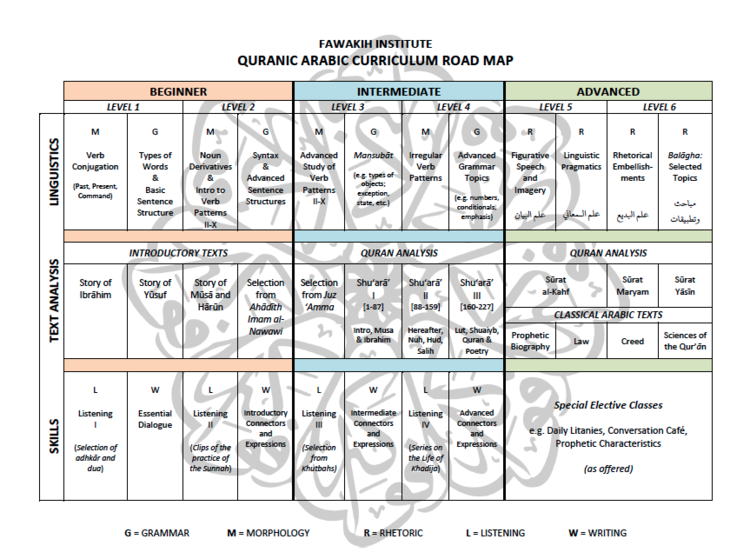 Our curriculum empowers students with the skills to access the Quran in its original language, thereby growing spiritually and intellectually. Grammar: Extract profound insights from how Arabic sentences are formed! Morphology: Unlock depths of meaning from just one word! Text Analysis: Finally read and understand short surahs and duas, in Arabic!